Web phishing means forcefully taking over the control of a website. Basically, that does by the expert web hackers. The basic question is ‘what is the definition of phishing and how to prevent website’ by the attack. Phishing hacker cracks the password and then changing it. Owner of the website loses control and phisher share the information, which they want to put on the website. The password cracking attacks are the most common. This is a fraudulent attempt to obtain sensitive information such as usernames, passwords, and credit card details. This all thinks to happen electronically. 1) The dictionary attack is where the software will attempt all the word contained in a predefined dictionary of words. 2) The second attack is to use the brute force, where the software tries to guess the password by trying all possible combination of numbers. Phishers use this method until they get the correct password. As the reported incident in America (USA). A child, who is running a hobby website and he received a phishing e-mail that a group of hackers has gained control over his website. Hackers demanded a huge ransom in the dollar. The owner of the website did not take it seriously and ignored the phishing mail. After three days, they received the number of telephone calls from all over the country. When he checked his website, a message is flashing on the screen that ‘how to have replaced the word goldfish’. The message insists the owner play a particular game and injured during playing. That means the main motive to hack the website by phishers is to serve the material as they want. The large database website also takes protection like - facebook. Don’t open the suspicious e-mail. Always update your website by the latest updating tools. Activate and renew the anti-virus protection software on the due date. As you know that all search engine like - Google, Bing, Yandex are taking care to save the website from attacks. They track the suspicious activity on the website and take the precautionary messers against that in advance. No users aware of the word hacking, phishing, jacking, but the today large number of users are familiar with this. Sometimes you open that mail, which are providing lucrative offers through the message, that time you should check the authenticity of mail and details of the sender. It may be possible that hacker misuses your information during communication. So, be conscious and avoid this type of emails. Don’t share any information, which is suspicious and your census does not allow. Always log out your system and mail after completing the work on the system and don’t share the passwords with others. The password should be very strong, that means your mail and system password should be the mixture of numeric, alphabet and numbers. The strong password will be very helpful to protect from phishers. 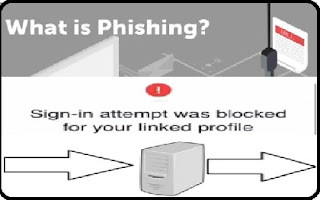 These are the facts which “prevent the website from phishing”. If the content is useful then share it. Reference is taken from a reputed book.